Situated at the the foot of the amazing Annapurna Himal, Pokhara is situated around 200 km west from Kathmandu. It is the largest town in central Nepal. Because of the lower elevation than Kathmandu, Pokhara is much warmer than the capital of Nepal. The monsoon season starts from mid June to September. Pokhara records the highest rainfall in the country. From climatic point of view, Pokhara is enjoyable all year round but if you want to do the trekking it is best to visit Pokhara from the month of October to April. Pokhara has become a big tourist hub in Nepal. 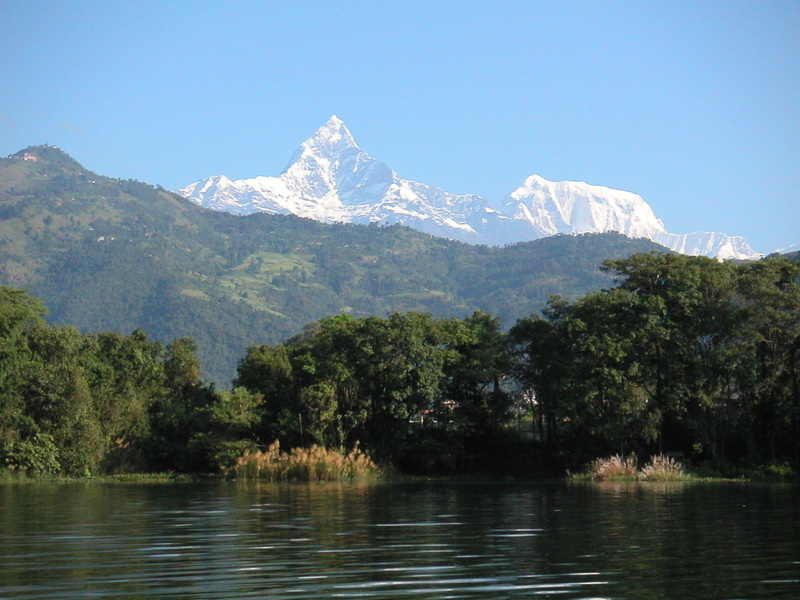 Pokhara is one of the most visited tourist destinations in Nepal. Pokhara is famous because of the magnificient views of the central Himalayas, the Annapurna, Machhapuchhare (Fishtail), Manaslu, Fewa Tal, Davis Fall, Mahendra Cave, Bat Cave, Gupteshwor Cave. Pokhara city offers a combination of nature and culture with a tourist district (LakeSide).